And here is another video from Ranger, but this time using Perfect Pearls and Ranger Adirondack inks. And while we are sharing, design team member Anne Harada would love for you to stop by her blog to see a little demo of a Tim Holtz die that is to die for! Hope you have enjoyed today's techniques! See you tomorrow when we will share another wonderful design team project. One of our goals this year is to seek out more innovative products. A second goal is to increase our rubber stamp offerings. As more and more stamp stores close, the choices to our customer base becomes limited. We are committed to help our stamping friends find great stamp designs! Today, I'd like to share a new company's stamps. Direct from Germany, LaBlanche produces unique silicone stamps which produce a fine impression in a lightweight format. 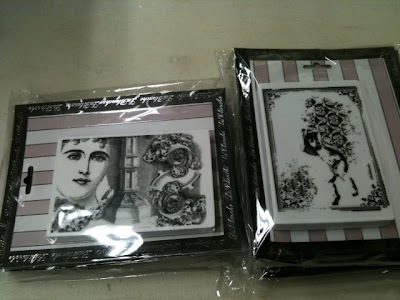 The collage/vintage style will appeal to many stampers including ATC artists and collage artist. We will be adding LaBlanche stamps to the site next week. They've just landed in our warehouse this morning, so we need to unpack, mark and sort through them all first. Happy Stamping & happy Scrappin'!! Today the team would like to present some tips for using things you might already have around your house in your paper crafting. Use the eraser from a pencil as a stamp to make small dots on your paper. Simply ink and stamp the eraser as you would a stamp. A sink stopper can also be used as a stamp, and will make very nice round rings. Alcohol-free baby wipes are great for cleaning stamps, but they can also be used to apply ink. Fold one or two wipes into eighths and apply a small amount of ink from a re-inker bottle to one edge of the folded wipes. Apply two or three related colors, leaving a small gap, or allowing the inks spots to just touch. Swipe the wipe across your card-stock, or dab with it onto your card-stock to produce a different look. Shaving cream combined with re-inkers or acrylic paint can be used to create wonderful marbled effects on paper. Spread the shaving cream onto a thin plate or tray. Add a few drops of ink or paint. Swirl with a toothpick to produce an interesting swirl of color. Place card-stock lightly onto the shaving cream. Lift off carefully. Wipe off excess shaving cream that adheres to the card. Set aside to dry. Future brand clear acrylic floor polish (also marketed as Pledge with Future Shine) can be used as a sealant for all sorts of craft projects. It can be painted onto paper or polymer clay beads to seal them and make them shine. It can be used like modge-podge for collage projects, both to adhere the objects and to seal them. It can also be used to affix glitter or pearl-ex. Just remember that, as with most finishes, it is better to use several light layers than one heavy one. Waxed paper placed on your work surface can really help to prevent gooey glue globs from ruining a project if you use a tape gun. The wax resists the glue tape so if you accidentally go off the edge of your project, the glue won't stick to it. Waxed paper doesn't only resist glue... it also resists ink. Try crumpling up a piece of waxed paper, opening it back up, and then ironing the waxed paper between two sheets of glossy card-stock (with the shiny sides toward the waxed paper). Brayer or sponge ink onto the glossy card-stock to create interesting background paper. OR for a different look, instead of crumpling the paper, run the waxed paper placed into an embossing folder through a die cutting machine. Iron and ink as above. Use waxed paper to keep your scissors and punches lubricated. Simply cut or punch on the waxed surface. Cut or punch aluminum foil to help keep them sharp. Cut or punch very fine grit sandpaper to remove small burrs. Wrap a piece of cardboard with non-stick aluminum foil to create a heat-resistant non-stick surface for embossing on. Place the piece to be embossed on this surface and heat with a heat gun. This is also a perfect surface for shrinking shrink plastic. Use nail polish to color on stamped acetate sheets for a really wonderful stained glass effect. Use dish detergent and acrylic paint to make a fun bubble print on your card-stock. Place a small amount of dish detergent in a shallow tray. Add water to the detergent. Add several drops of acrylic paint. Swirl the paint into the water and detergent mixture. Use a drinking straw placed into the tray of water/detergent/paint to blow bubbles. Carefully place the card-stock onto the bubbles to make a print of the bubbles. Lift the card-stock off immediately. Repeat the bubble blowing and printing until you have the desired effect. Set the card-stock aside to dry. Do you have some tips on using household product in your stamping projects? If so, please share them with us! Those tips, and other comments, are always appreciated! Here is another card sketch for you. Use your imagination with the sketch. The different panels could be papers of different colors, patterned paper, or paper embossed with different textures. Instead of a bow, use a flower or other embellishment of your choice. In place of the stamped word, use a little line of rhinestones or a rectangular sticker. Even the oval doesn't have to be that shape... a rectangle with rounded edges, or perhaps a die cut shape could take its place. The sketch is just that... a rough idea of how the card will be put together. Take liberties with it, be creative, and have some fun! Little bundles of joy just make me smile from ear to ear. That perfect little face, those ten tiny toes. Bringing such joy into the world and so full of innocence. Today I am sharing with you a unisex card you can create in a jiffy for that little someone special. This card uses Papers and collection packs from Cosmo Cricket, pearls and rhinestones from Kaisercraft, a Spellbinders Nestabilities Labels die, zlong with trims and ribbons to create a bright, colorful, and festive card for that precious new bundle. Thanks so much for stopping by today and sharing a Bundle of Joy with Cosmo Cricket. Today, in keeping with our day of tips on using punches, I'd like to share some videos from EK Success about their new Slim Line punches. First is just a quick introduction to the slim-line punch. Next is a great video demonstrating the three different styles of border punches, along with how to punch with them. Additionally, I'd like to share three punch videos from Martha Stewart. First up is an introduction to the stamp and punch style punches. Here is one on using Martha Stewart's deep edger punches, which are similar in use to the EK Success Slim Line border punches. 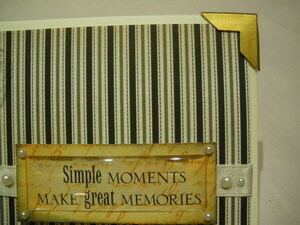 And lastly, here is how to use the Martha Stewart Punch Around the Page punch sets. I hope you have enjoyed these videos on these great punches, all available at FranticStamper.com! Warehouse Wednesday: What's it like to work at Frantic Stamper? What's it like to work at Frantic Stamper? We get asked that question all the time. "It must be so much fun playing with all the products". My answer, yes, it must, but we don't get to play with it much. You see, our job is to please YOU, the customer. Our goal is to pull your order quickly, and to do so means organization. Bins and tubs take up most of our warehouse shelves. When we pull an order, we need to be able to find the products quickly and efficiently. Items are stored by code (which is why it's so important to have those codes when you order). Our aisles are organized by company. Larger companies have their own aisles, and smaller companies share aisles. We have a HUGE Prima aisle, a Ranger aisle, an Inkadinkado aisle, etc. You get the idea. I'm often asked if a customer passing through the area or living locally can come "browse". It's not that easy. We're not set up all pretty like a store. In fact, our warehouse is quite "un-glamourous". You can't just see all the pretties hanging on hooks like in a store. There are no sample projects adorning the walls. Only rows of bins and plastic tubs. Here are a few pictures to illustrate what we mean. The first picture is of a portion of our Inkadinkado aisle. Next is part of our Prima aisle. And lastly, a portion of our Ranger aisle. As you can see, it all looks about the same. Bins with coded tabs. But that's how we can best find your items, and that's our goal. Because we want YOU to receive your order and be able to create as fast as you can. Next I'd like to share with you a new line we received a few days ago. Fans of Susan Winget's designs will love the new K&Company Botanical products, a continuation of last year's popular line. Featuring birds and butterflies as well as spring florals, this line is so pretty and relaxing. We've just unboxed it all, so nothing is put away yet! That's tomorrow's job. I'll be adding these products (and many more than shown here) on the site tomorrow. I wish you non-stop inspiration and creativity! Welcome back to Tip Tuesday! Today we will be looking at some tips for punches. Frantic Stamper has a great variety of punches to use in all sorts of paper crafts! When using a punch, think about the negative space (the hole) that is left when you have punched... it can often be used on a project, too! Punched shapes can add wonderful texture to an otherwise plain background. Punch shapes out of the same paper or card-stock as you are using for your project. Glue the punched shapes randomly onto the project. For more depth, layer up some of the punched shapes. 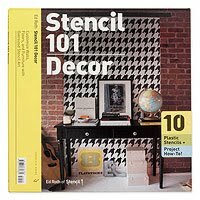 Use the negative of the punched shape as a stencil (for dry embossing or for stenciling ink). Make your own dimensional flowers by punching various flower shapes, curling the petals, and layering them together. Glue them just at their centers. Add punched leaves that have been textured with a stylus or run through a crimper. Punches can be more versatile than you may think. A circle punch-out can become the head of a snowman with just a little shading, plus the addition of a "carrot" nose, a couple of punched eyes, and a drawn smile. A curly bracket punch-out can become a bulls antlers, or a fish's tail. A flower petal can become a dog's ear. A crawling baby can become a flying cupid, with the addition of a butterfly's wings. Try to look at your punches with a new and creative eye! See you again tomorrow with a little news from the warehouse. Today's sketch is intended to be a scrapbook sketch. I rarely (ok... never) scrap, but I am still enamored with the layout, texture, and line of scrapbook pages, and find that often things I see in scrap pages can translate to my card making. I find good scrapbook pages inspiring! I love books. I love the way they look, the way they smell, the way they feel. I could lose myself for hours in a good book store. So I guess it isn't surprising that I am also inspired by books; I have found that book jackets can be a wonderful source for my creative juices. Today's layout comes from just that... a book jacket. The texture of the brick wall, the colors, and the layout all attracted me to this cover. I thought it would be wonderful to translate it to a layout. I started with a fairly literal translation of the photo, using the table in the photograph as a dividing line between two different photo blocks. I see this layout used as a birthday or anniversary page with the age or the number of years together in the little yellow square on the right, and photos of the event in the three spaces... with journaling where indicated. But then I also saw it as a sports page layout with a team and an individual photo, with the uniform number in the square and team record in the journaling. What do you think? I'd love to hear your ideas. This scheme made me think of ocean breezes and summer days. I could see photos of a day of sailing, or perhaps photos of family sitting on a white sand beach with white caps breaking in the distance, or of a child making sand castles. What do you see when you look at the layout? What other color schemes do you envision? How are you inspired? Please leave a comment and let us know. This project uses multiple photos of my mother throughout her youth. A combination of paper from Basic Grey (Booknote, BG-BAS-2548) and journaling cards (OCT-P-DC133) and word stickers (OCT-S-253) from October Afternoon make a fun backdrop with a hint of color for the black and white school photos. 97% Complete stickers by 7 Gypsies add the final touches. Today I would like to point out some features of the Fiskars Deluxe Portable Trimmer. This arm swings out from the side of the trimmer to allow you to accurately cut papers that are wider than the main platform of the trimmer. 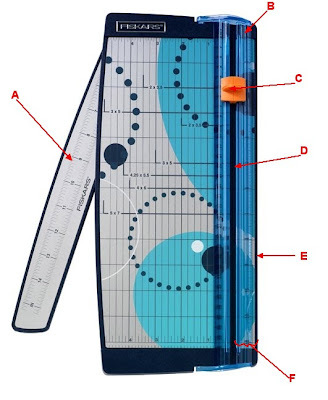 The ruler goes up to 15" so it handles scrapbook papers without effort! On my trimmer I used a permanent marker pen to mark 5 1/2" on the ruler to simplify measuring a standard card. This transparent guide helps to hold the paper in place while it is being cut as well as housing the blade unit. The newer trimmers use a deep blade and a triple track system to ensure the blade glides smoothly. The blade is on the underside of this blade unit which slides up and down the guide. The blade is bi-directional, able to cut while sliding in either direction. For best results the blades should be changed frequently. If you begin to get fuzzy cuts or ragged edges, it is definitely time to change the blade. The arrows on the side of the blade unit indicate the cutting position of the blade. The cutting groove allows the blade to cleanly cut through paper or card-stock and not touch the trimmer. Be sure to occasionally clean the groove to remove any paper residue that may accumulate. The guide also acts as a vertical cutting guide. The guide has English units from 0 to 12" on the right side, and comparable metric units on the left. Cut exactly positioned vertical slits by aligning the arrows on the blade unit with the ruler. The cutting blade is one inch from the right edge of trimmer making 1" cuts easy to measure. The edge of the metal plates on either side of the cutting groove are 1/8" from that groove. The "bumpers" at the top on the left and right of the cutting groove are 1/4" from the groove. 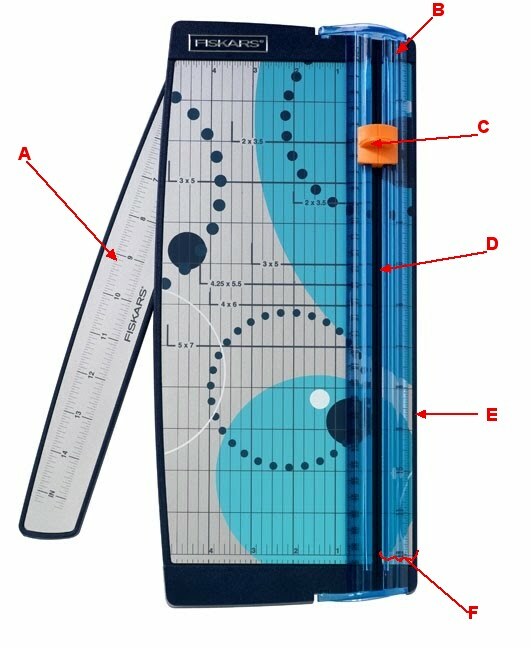 These measurement guides can really help with fine cuts. For an example of one of those fine cuts, here is a clip of using the bumper at the top left of the cutting grove to cut a perfect 1/8" mat for any sized rectangle of card-stock. 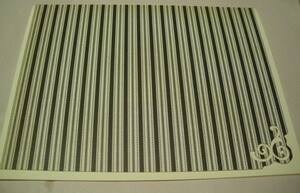 To make a 1/16" border, start with the 1/8" border as shown above. Then use the edge of the metal plate on the right of the cutting groove as a guide and cut 1/8" off one side and either the top or the bottom of the mat. When centered the border around the top layer will be 1/16". I hope you've enjoyed this introduction to the Fiskars trimmer. 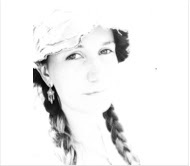 Come back tomorrow to see a project from one of our design team members. 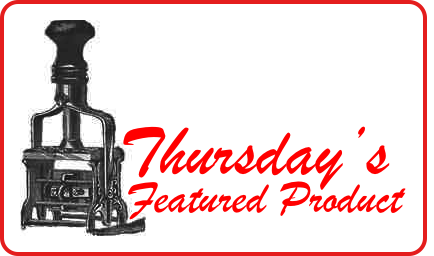 Warehouse Wednesday: more new products! Today I'm sharing with you the new Cosmo Cricket collections which I just posted on the site last night. My favorite of the 3 is "Salt Air". I just love the colors and patterns, especially the "Fish Tales" and the "Sea Garden" papers. They are so fun! Next, I'd like to tease you with a new product from May Arts Ribbons. Only this time, it's not just straight ribbon…. but organza ribbon roses. These gorgeous flowers are available in 2 sizes and 16 gorgeous colors. The small ones (1") will sell in packages of 6 for $3.99, and the large ones (2") will be in packages of 4 for $3.99 as well. May Arts does not have the web-ready images for them yet…. so we're waiting for those before we can put them on the site. We also invite you to visit and bookmark our "New Products" page to see all the latest products we are adding to the site. Welcome back to Tip Tuesday! 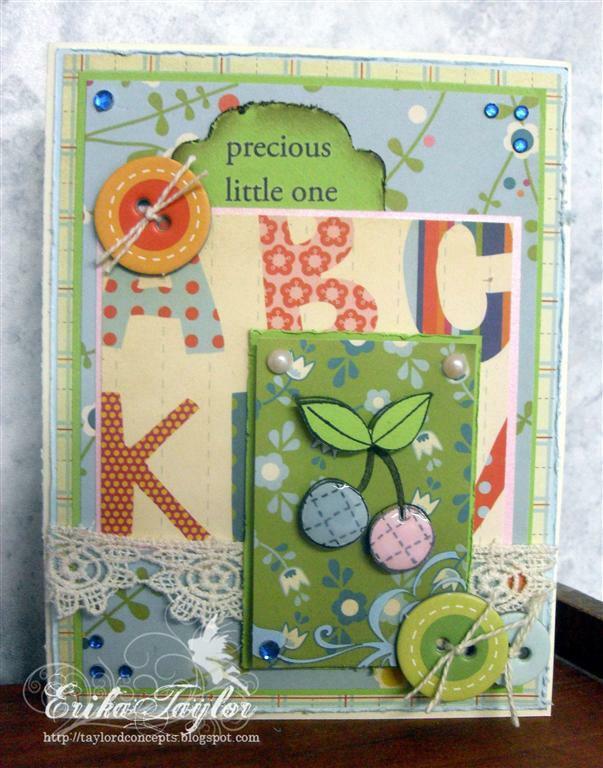 Today we will be sharing some ideas for layering on cards or scrapbook pages. To make your focus layer stand out, use a BLACK cardstock layer showing 1/8". This creates a thin black border and draws the eye inward. Monochromatic layers are very pleasing to the eye. Use a light color, then a darker shade, then the first light one again to create the illusion of depth. I really love using Bazzill's monochromatic colors or Core'Dinations cardstock packages for this technique because the colors are already picked for you to match perfectly. When using 3 or more layers (yes, I really love layering), make them different reveal widths to add interest. For example, first layer is 1/8", second is 1/4", third is 1/16", etc. Remember the "Rule of 3". The eye REALLY likes things in 3's. 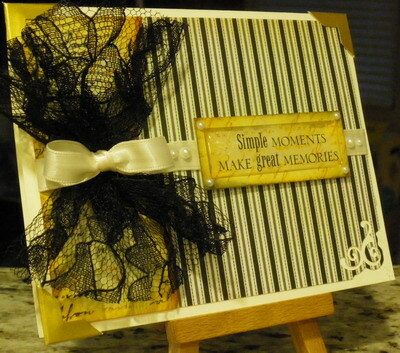 So try to stick to 3 layers, or 3 elements, or embellishments on your card. 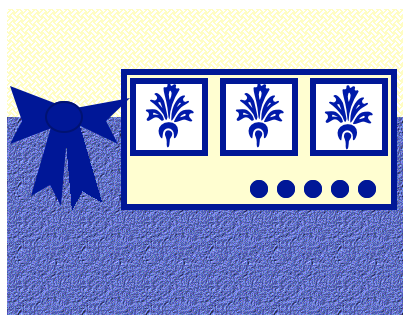 Use Nestabilities to die cut the perfect layers. Embossing with the dies can also create the illusion of an extra layer. Use graduated sized punches to create layers. EK Success has wonderful nesting punches in squares, circles, scalloped circles, scalloped squares, and ovals that are perfect for creating layers. Layering a card front onto a white card is a way to be able to stretch those more expensive papers. Cover the whole white card front or leave a narrow border of white. Sponging ink around the edge of a layer can sometimes help to make it really pop. 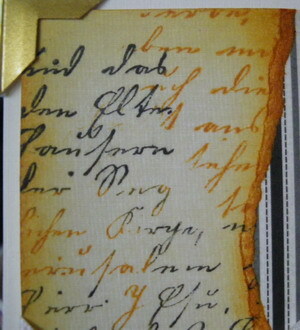 A good way to create a faux layer on a card is to emboss lines on the card. Put the card face-down on a Scor-pal, Score-buddy, or Martha Stewart scoring tool and score lines around the edges of the card. When the card is turned face-up the lines will be raised and will create the illusion of a layer. You can punch shapes out of the center of layers that will be covered up to help stretch your card-stock and paper. Just make sure you don't punch too close to the edge! How about some of your tips for layering? Please leave them in the comments section below. Hope to see you again tomorrow when we will be sharing some more happenings from the Warehouse. And then check back on Thursday for a little video clip on how to cut perfect layers for an arbitrarily-sized rectangle using a Fiskars cutter, along with some in-depth information about using those cutters. 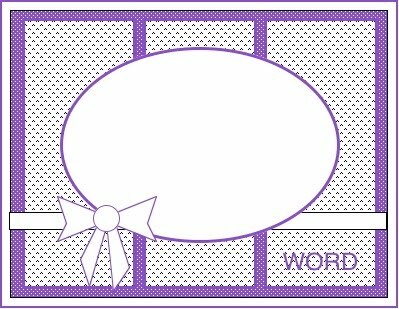 We would like to present another new feature for the Frantic Stamper blog; we will be posting a card or scrapbook layout sketch for you to play along with every Sunday. When you sit down to create we hope you won't feel you need to take the sketch too literally. For example, you don't have to stick with the color scheme in the sketch; it is just there to accentuate that there could be different panels. Have fun with the sketch... use it as a jumping off point for your own creativity. Without further ado, here is our first ever Frantic Stamper Sunday Sketch. Your comment will then contain the words "My Card" which will link to your photo! The design team really looks forward to seeing your work. Here is one quick and easy (10 minute) card inspired by the sketch. It uses Inchies clear stamps by Inkadinkado (INK-CSB-30164), paper by SEI (SEI-8-5008), punches by EK Success (EK-PSPNP-02 and EK-PSPNP-04) and Martha Stewart (MSC-PU-284002), distress ink, and a sticker by K&Company. 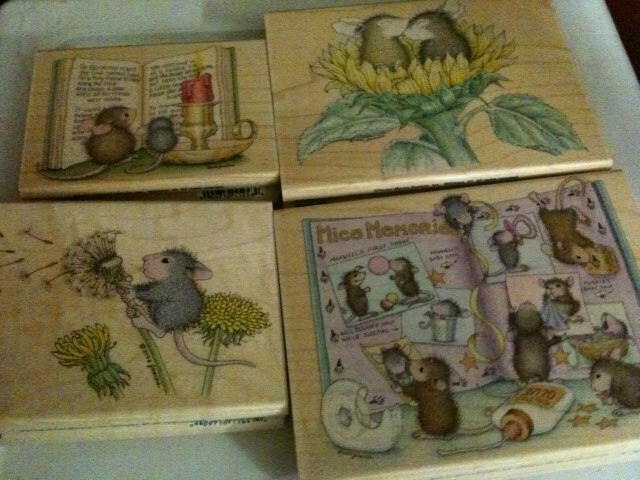 There are so many of FranticStamper's own line of stamps that I just love. They are deeply etched unmounted red rubber, and the images are perfect for so many occasions. This row of apples (Apples 137-03-J) would make an ideal card for a teacher or for an autumn card. The colours I've chosen, though, remind me more of apple blossoms and spring time. For the colours in the card I was inspired by the celery and pink in the Jute Stripe ribbon (MA-360-46). Isn't it lovely? And it matches the patterned paper from Basic Grey's Green at Heart line so well (BG-6x6-GREEN)! This is a card that is quick and simple to make. 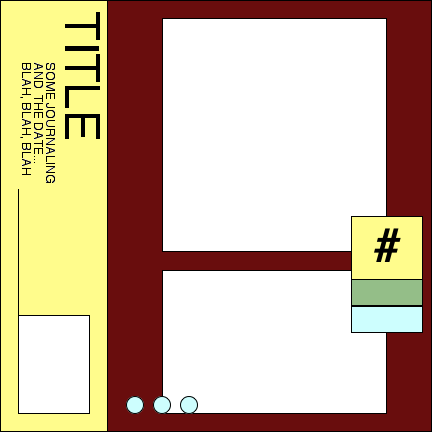 Simply stamp the image twice onto white card, trim one to a rectangle, and from the other cut out the apple that appears to be in the foreground. Colour the images with markers and add the extra image on dimensional adhesive. Cut a piece of green paper from the green at heart pad just larger than the stamped panel, and distress with the blade of your scissors or a distress tool. Cut a patterned piece of paper as a background and tear a pink piece to fit. Layer into place on a standard sized folded card. Tie a piece of the ribbon into a knot, trim the ends to a "V" and glue in place. I hope this card's colours will help you to think about the spring that is just around the corner. And I hope you will give some of the wonderful unmounted stamps in FranticStamper's own line a go. Thursday is going to be our day to share techniques, in-depth product information, or product comparisons. Sometimes we will be sharing team member's takes on these products or techniques; other times, like today, we will share information from one or more of the manufacturers carried by FranticStamper. Today, to keep in line with our Tip Tuesday information on clear stamps, we would like to share a little video from Inkadinkado. We hope you will enjoy it. We also would like to share this video on special shape shifting clear stamps from Stampendous. There is a wonderful bunny in this line that is perfect for the Easter season. Thanks for stopping by. Tomorrow we will post a design team project for you. Since so many of our customers are telling us their local stamp stores are closing, we felt it was important to start carrying more stamps, with an emphasis on rubber stamps, both wood mounted and cling mounted. We want to be sure our customers have access to the best the industry has to offer, and we want to become your stamp store! We've also ordered an assortment of cling stamps from Hampton Art. Watch the website in the next days for the latest additions to our stamp inventory. We're in the process of gathering all the images for the new Northwoods, Inkadinkado and Magenta Stamps so we can include them in our store. It's a lot of work, so bear with us... but great things are coming in the stamp department!! Welcome to one of our new features. The design team members will be posting some tips for you every Tuesday... and encouraging you to share your best ones, too. 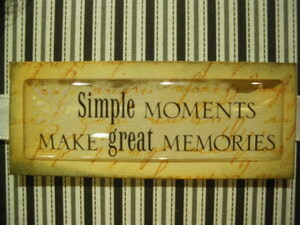 Here are some ideas about using your clear stamps, which are available in HUGE variety at FranticStamper.com! 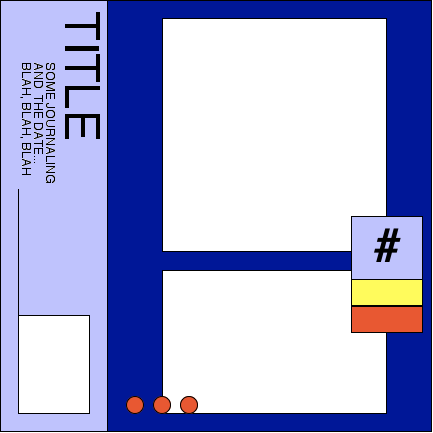 Mount more than one clear stamp randomly spaced onto a large rectangular block to create your own background stamp. Use a longer, narrow acrylic blocks and alphabet clear stamps to create your own word stamps. When placing the letters on the block, start with the letters in the middle of the word at the center of the block and work outward. Clear stamps can be cut apart and mounted in parts to give you more flexibility. For example, a multi-word saying stamp can be cut so that the words can be mounted and stamped in a single line or in multiple lines. Many clear stamps can be flexed to form curves. Bend a simple phrase into an arc to fit inside a circle, or a flex a stamp of faux stitches to curve along a die cut shape. To "prepare" a clear stamp for holding ink, rub over the surface of the stamp with an eraser or very lightly rub over it with an emory board. If you tend to "rock" a little with a clear stamp, you can stabilize your stamping by using a larger block! Start with the image you want to stamp on the center of the larger block, ink the image, then, with the inked image face up, add small clear stamps to each of the four corners of the block. Turn over and stamp. The small stamps on the corners will help to keep the block from rocking! Clear stamps can be cleaned very easily in a small bowl of slightly soapy water. Be sure to rinse them well. How about some of your tips for using clear stamps? Please leave them in the comments section below. It has been a year since the design team started it's work of producing artwork for our readers. It has been a wonderful time for our team, providing us chance to share what we love to do. 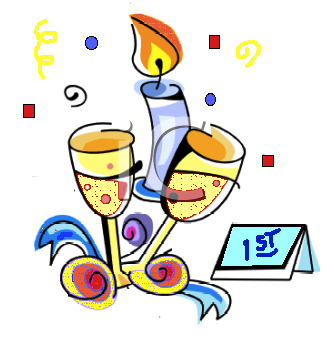 Over the next month we will be gearing up for our second year with what we hope will be some fun new ideas for the blog. We still will be featuring art from our fabulous team of designers, but we will be adding some fun new features, and will be seeking more involvement from our readers. We have tried to listen to many of your comments from the feedback we requested. We have already worked on improving the display quality of our photographs and tried to make it easier for you to leave comments. We will be doing away with the exhaustive lists of materials for our projects, and are aiming to simplify our instructions in the hopes of making them more reader-friendly. For our more complicated projects we will be trying out a couple of ways of getting detailed instructions to you without overwhelming readers with the blog posts. The coming month will add some completely new features to compliment our projects (which will now be posted on a weekly basis on Fridays.) Look for news from the FranticStamper warehouse on most Wednesdays. 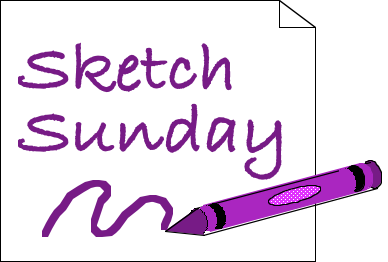 We will have sketches for your cards and scrapbooks on Sundays, and tips for you on Tuesdays. On alternate Thursdays we hope to feature an in depth look at a product or technique. Stay tuned, too, for surprises like quick cards, fun templates, and other things we just have to share. We hope you will continue to visit us regularly, and leave a comment when you do. This is a learning process for us all, and we hope you will help us to make this blog more enjoyable. 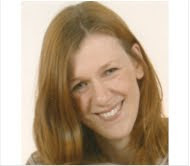 On a final note, we want to thank Erika Taylor for her contributions to the design team over the past year. 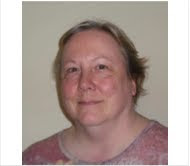 Due to significant changes in her life, Erika has decided not to continue with the team. 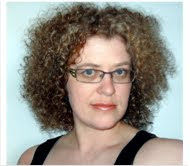 I hope you will all join me and Fran in expressing gratitude to Erika for all the inspiration she provided this past year. Hers was a job well-done, and the rest of the team will miss Erika. We wish her nothing but the best as she moves on. Punch the lower right hand corner of your striped La Crème paper with the Fiskars corner punch. Hold the plain piece of cardstock (2 1/2"x4") with your left hand and tear TOWARD you along the 4 inch side, creating a white edge. Ink the script stamp with randomly applied wild honey and black soot inks, being careful not to overlap. Stamp onto the cardstock you just tore. 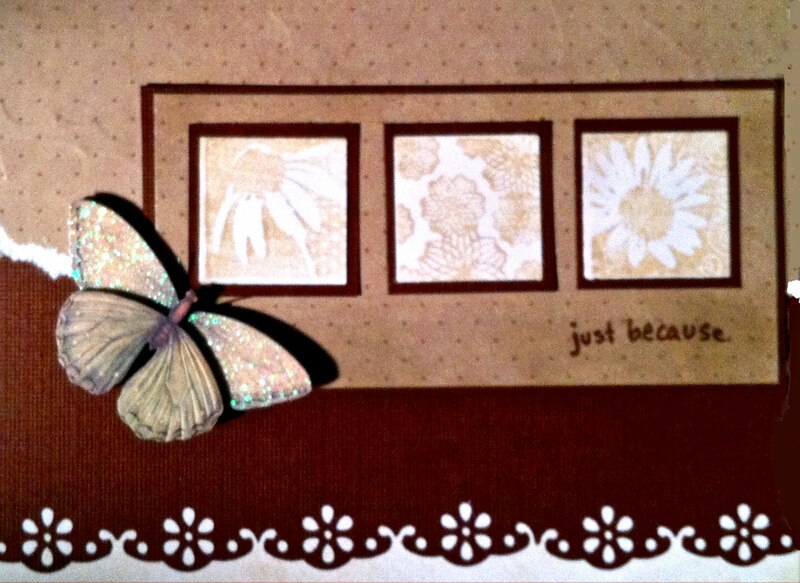 Using your craft mat and an ink blending tool, blend wild honey around the edges of your stamped piece. Make sure that the white torn edge is completely covered. Let dry or dry with heat gun. Glue the torn piece to the left edge of the striped piece, using glue stick. Bunch up a piece of black lace in its middle. Take some black thread and wind it around the middle a few times to hold your bunching in place, then tie on the back side. Fold the bunched lace in half, using the center where you tied it as the folding point. Trim the lace edges so that they are even. 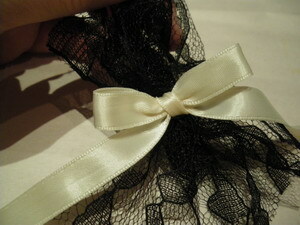 Tie a bow with your satin ribbon making sure to leave tails long enough to go around your card. 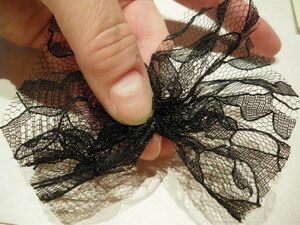 Attach the bow with glue dots to the center of your bunched lace. 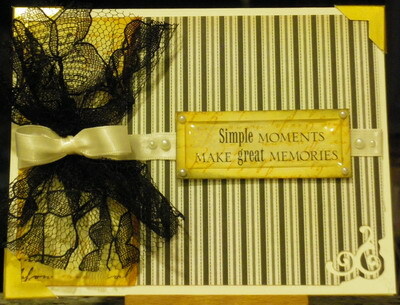 Attach the lace and ribbon to your card on the left using glue dots. Attach your ribbon to the back of the cardstock using glue tape or glue dots. 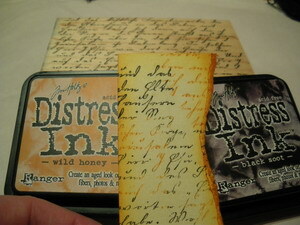 Stamp sentiment and edge it in wild honey ink. 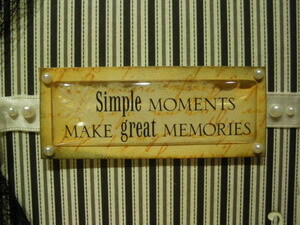 Mount your sentiment onto the cardstock with mounting foam. Add pearls to your card. Punch out three photo corners with the Martha Stewart punch. 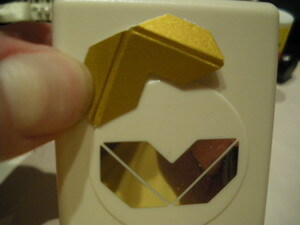 Attach to the three corners of your card. If you get this punch, experiment with a few punches first. It does not take as much muscle as you may think. Use as little force as you can... you will quicklly get a feel for it. Thanks so much for stopping by and I hope you try out this pretty card! Send me a comment or a question! 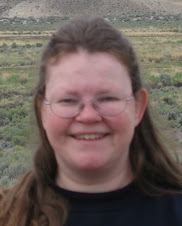 I would love to hear from you and know what you would like to see.